The 2015 Angloco Demonstration days were a great success with over 100 people attending the live demonstrations and ride drive events over the 2 days. 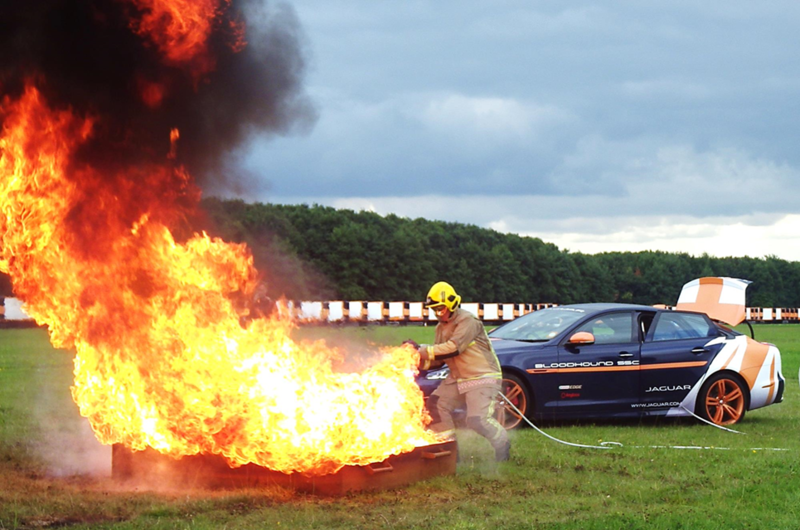 With live fires, high volume pumping demonstrations, ride and drive on the latest vehicles and trips around the track in the latest Jaguar XJR which had been converted into a Rapid Response Fire Figting Vehicle for the Bloodhound project. In the back of the Jaguar XJR is a purpose built Multi Cylinder misting system and hydraulic tools installed in the boot for the Bloodhound project. Heavy Lifting demonstrations and running fuel fires with lots of Brigades who had brought there PPE along getting involved. Due to the success of the 2015 demonstration days we will be holding another 2 day event again at Bruntingthorpe on the 22nd & 23rd June 2016 – Please contact Angloco Ltd for further details and to book your place.